Habitat is Latin for he, she, or it resides. These cards about nature and humans, painted by naturalist Christian Gronau, depict a broad spectrum of Earth’s natural environments. Some seem documentary, some seem serious or funny, others appear almost mythical. 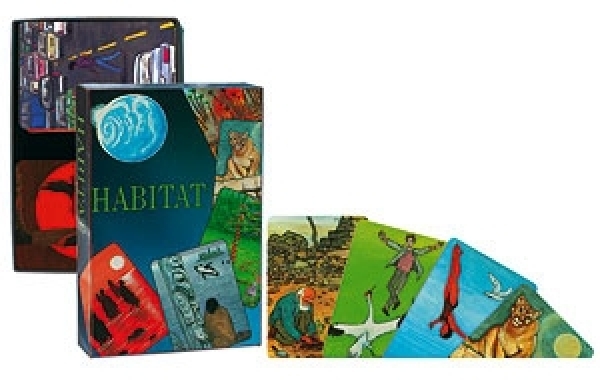 HABITAT invites us to playfully find connections and networks within our surroundings and shows us other ways to live in the world.